Gert phones to say that he is unexpectedly doing an Irish week at Oren, his restaurant in Caernarfon. Can I come up with with five Irish-related loaves for Wednesday. He’s thinking Guinness but I did Nil’s fantastic Guinness Volkornbrot for him last week. I’m thinking buttermilk plus, I’ve been meaning to do a bread with seaweed for a long time. 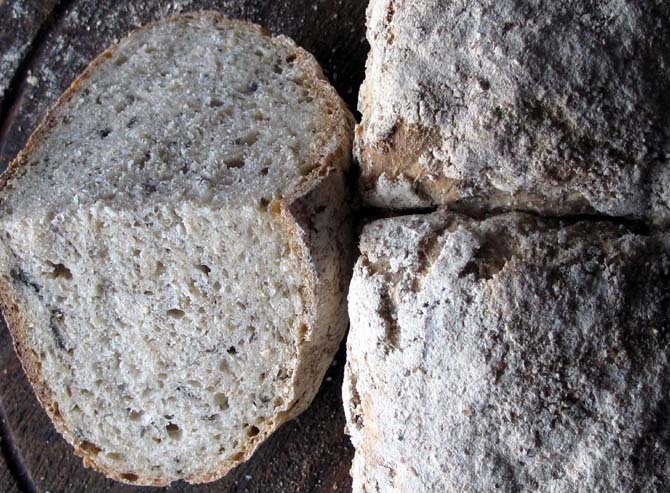 So I’ve come up with Dillisk Bread – wheat and oats, buttermilk, dillisk – a sort of sourdough soda bread. Hold on a minute. I thought, I mean, you said, you were retiring!